HOBART, Australia, November 4, 2013 (ENS) – A meeting of 24 countries and the European Union has failed again to create the world’s largest marine sanctuary in the vulnerable environment of Antarctica’s Southern Ocean. The week-long meeting that closed Friday was the third attempt since 2012 by the Commission for the Conservation of Antarctic Marine Living Resources, or CCAMLR, to protect large areas in the Southern Ocean. The two proposals that CCAMLR failed to pass each would have protected a vast expanse inhabited by some 10,000 unique species, including most of the world’s penguins, whales, seabirds, giant squid and the Antarctic toothfish, which is the main target of fishing companies in the region. A U.S. and New Zealand proposal would have established a Ross Sea marine protection area of 1.32 million square kilometers with a 1.25 million km2 area no-take zone, about the size of Alaska. A proposal from Australia, France and the European Union would have delineated an East Antarctic marine protection area network of 1.6 million km2 in which future fishing activities would have to be approved by international consensus. 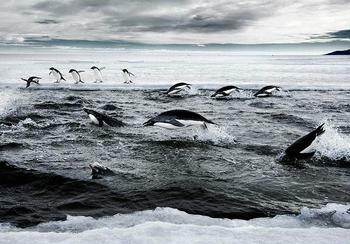 Together the two proposals would more than double the protected areas of the world’s oceans. Russia and Ukraine actively blocked the two proposals, with China withdrawing its support for the East Antarctic proposal. Russia and Ukraine, which have fishing interests in the region, ran out on the clock filibuster-style after earlier expressing positive attitudes about the proposals. “We will continue to support the establishment of these MPAs and hope that CCAMLR can continue to be a leading force in marine conservation,” Damanaki said. 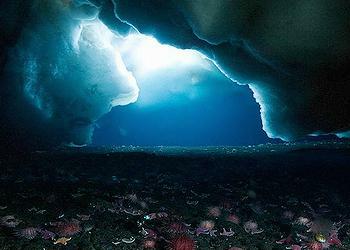 Some claimed that the proposals are not supported by sufficient scientific justifications, but conservationists and some negotiators say they are based on decades of science including the obaservation that currents in Antarctica’s Southern Ocean sustain three-quarters of the Earth’s marine life. The Southern Ocean is a crucial area for scientific research, both for studying how intact marine ecosystems function and for determining the impacts of global climate change, says the U.S.-based nonprofit Pew Charitable Trusts, a long-standing advocate for the reserves. To add a further somber note to events in Hobart, U.S. citizen Elyssa Rosen, of Reno, Nevada, 48, died in a SCUBA diving accident off the coast of Tasmania. She was in Hobart attending the CCAMLR conference as an employee of the Pew Charitable Trusts.